Modular display booths are display exhibit booths at trade shows and convention centers that are modular in their construction. This means that modular display booths and expo systems can be constantly modified, reconfigured, and expanded over time. 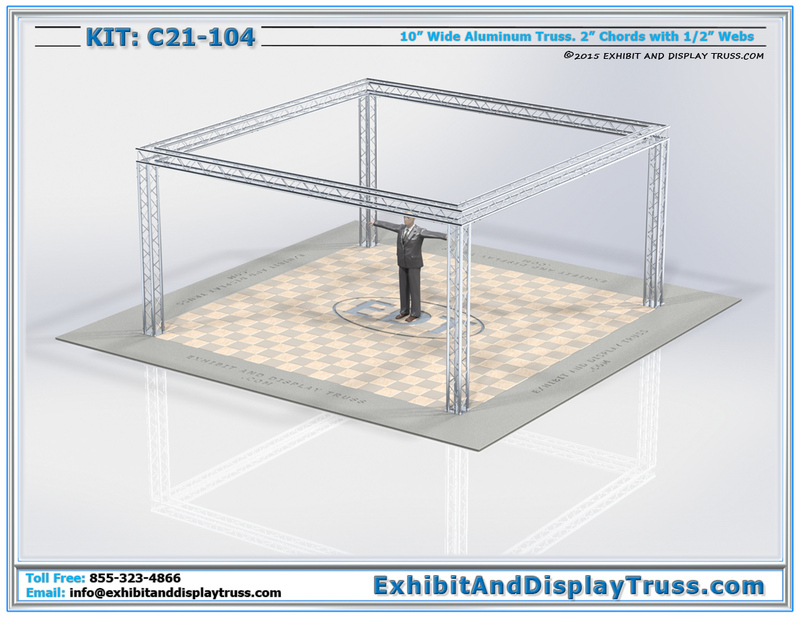 A perfect example of Modular display booths are with our C21-104 Truss Display. This booth is a 20×20 trade show booth. When parts are taken away, it becomes a 10×20 Trade show display, and a 10x1o trade show booth. If you cannot find what you are searching for within our in-stock trade show displays, we can custom fabricate truss into specified dimensions or shapes to suit your needs. We also have the capability for curved and circular aluminum truss structures.